For potential home buyers with bad credit, qualifying for a home loan can seem like a daunting task, especially if it's following a bankruptcy, foreclosure, or short sale. Many people wonder if they can get an FHA home loan after a bankruptcy --it depends. 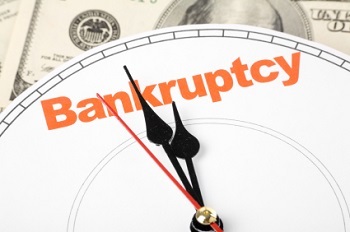 If you have filed Chapter 7 Bankruptcy, it must be discharged a minimum of two years. Anyone with a discharge date less than two years old, but more than one year old may possibly get approved if the bankruptcy was caused by what FHA determines to be an acceptable extenuating circumstance. However, the borrower must prove their ability to manage financial affairs in a responsible manner moving forward. For individuals currently participating in a Chapter 13 repayment plan, the first step is to have made at least twelve months of on-time payments into the plan. This will signal to a lender that the borrower has become more responsible in managing finances. Secondly, borrowers will need to get approval from the bankruptcy court to enter into the mortgage agreement. An FHA loan does not have any penalties for prepayment and the rates are excellent. People who filed a Chapter 13 bankruptcy within the last few years should contact a FHA lender to discuss the possibility of getting approved for a home loan. For people involved with Consumer Credit counseling, the guidelines are akin to the Chapter 13 guidelines. Borrowers need to prove they have made on-time payments for at least the past 12 months and get their counseling agency's recommendation to proceed with a FHA loan after bankruptcy. If you find yourself in any type of bankruptcy or credit counseling, it is vitally important that you make all payments on time. In addition to improving your chances of acquiring a loan, this will prevent any additional negative items from appearing on your credit report. The FHA makes sure that your chances of acquiring an FHA loan aren't ruined after bankruptcy. While foreclosures can severely damage a borrower’s credit rating, borrowers who had no control over the foreclosing of their properties can still qualify and acquire an FHA loan with prudent financial management. To qualify for an FHA loan, post-foreclosure borrowers must be able to provide excusing reasons for their foreclosure: serious illness, the death of a spouse, or a job transfer. Borrowers must wait a minimum of three years from the completion date of their foreclosure - i.e. the date on which the deed transfers to the next owner - before they are able to qualify for an FHA loan. This figure is deceptive, however, since the last thing a borrower should do after a foreclosure is to passively wait. If you intend to secure an FHA loan as soon as possible, the three years following a foreclosure will be the most significant factor for a lender in determining whether or not you will qualify. After a foreclosure or similar credit-damaging event, establishing new credit is the most important step for borrowers who would pursue another loan. When applying for an FHA loan after a foreclosure, lenders will scrutinize your credit history, and many require at least four new lines of credit, all of which must be more than two years old. Qualifying for an FHA loan after foreclosure requires convincing the lender that you are the definition of financial responsibility and that you deserve another chance. In doing so, it is critically important to make payments on time. Late payments will require letters of explanation to be considered by the FHA underwriter overseeing your loan, so save yourself the trouble and avoid making late payments. If your short sale was the result of extenuating circumstances, you should have no problem qualifying for an FHA loan. 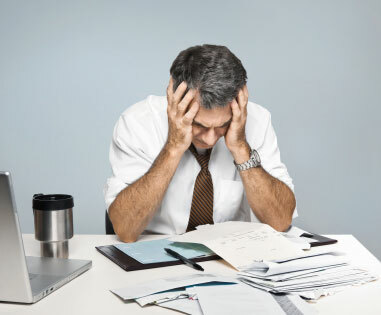 Although the waiting period for post-short sale borrowers has traditionally been three years, new regulations have eliminated the waiting period for borrowers who were current on their mortgage payments during the time of the short sale and who made all mortgage and installment debt payments on time within the past twelve months, and did not do a strategic short sale. Even a borrower in default at the time of the short sale may qualify for an FHA loan sooner than three years with extenuating circumstances, provided his or her credit remained at a reasonable score until the default. Get a Free Quote! Get an FHA Loan!